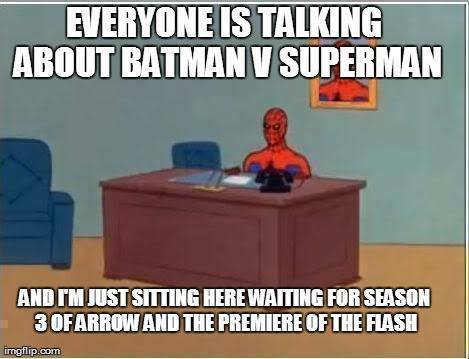 Just a friendly reminder, The Flash premiere’s at 8pm before Supernatural tonight on the CW Network and Season 3 of Arrow premieres tomorrow at 9pm on the CW. I will be watching and tweeting starting at…well, I’ll be tweeting about these shows all day tomorrow, let’s be real. See you on the interwebs!